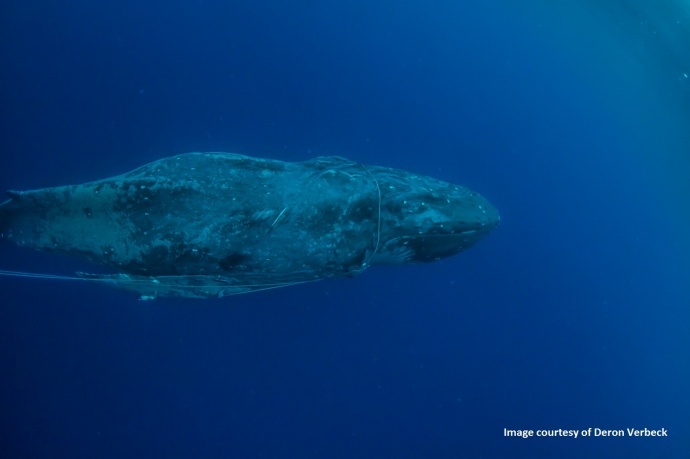 Humpback Freed of “Life Threatening” Entanglement – Neptune 911! 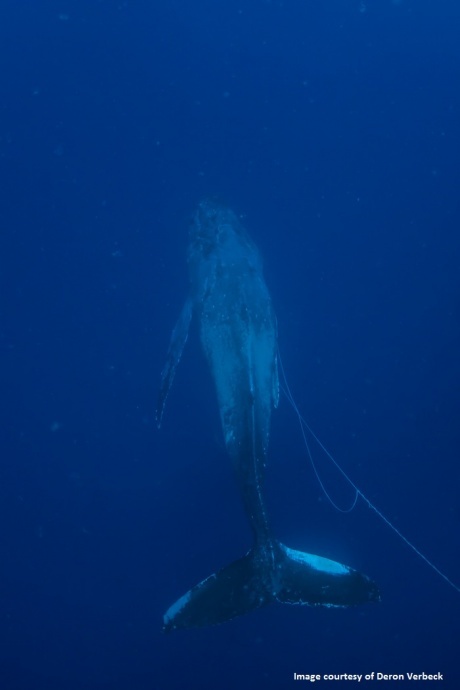 An adult humpback whale was freed of hundreds of feet of small gauge line during a successful disentanglement effort conducted this morning in waters off of West Maui, marine officials said. “Even though the animal is in poor condition, being emaciated and light in color, it has a much better chance of survival,” said the Sanctuary in a press release. The whale had been sighted several times over the last week off Hawaiʻi Island; and on Sunday, the response team had attached a transmitter package to the entanglement, according to the Sanctuary. Photo courtesy: Deron Verbeck/ HIHWNMS / NOAA Fisheries MMHSRP Permit # 932-1905. Today, a crew aboard the Ultimate Whale Watch tour vessel re-spotted the entangled animal and reported it to authorities. Programs Administrator Fiona Langenbergers said the vessel stood by along with the West Maui response vessel Aloha Kai, until the response team arrived at 9:20 a.m. on Wednesday, Feb. 19. The Hawaiian Islands Humpback Whale National Marine Sanctuary led the multi-agency response, in which specially-trained and permitted personnel used a long pole with a specially designed hook knife to cut through the line, the announcement said. Authorities advise anyone who comes across an injured or entangled marine mammal to maintain the required 100 yard safety distance and call the NOAA Marine Mammal Hotline at (888) 256-9840, or the US Coast Guard on Channel 16. Others agencies participating in the response included: NOAA Pacific Islands Fisheries Science Center, State of Hawaiʻi Division of Aquatic Resources, NOAA Corps, and the West Maui Response Team. “Special thanks to the Hawaii Marine Mammal Consortium, Jupiter Foundation, Ocean Sports, The Nature Conservancy and the tour vessels Ultimate Whale Watch and Wild Hawaii Ocean Adventure,” Langenbergers said.